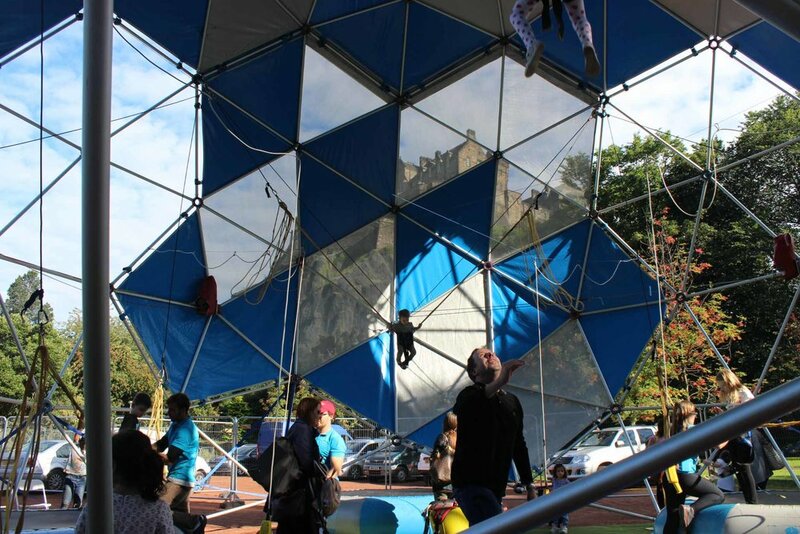 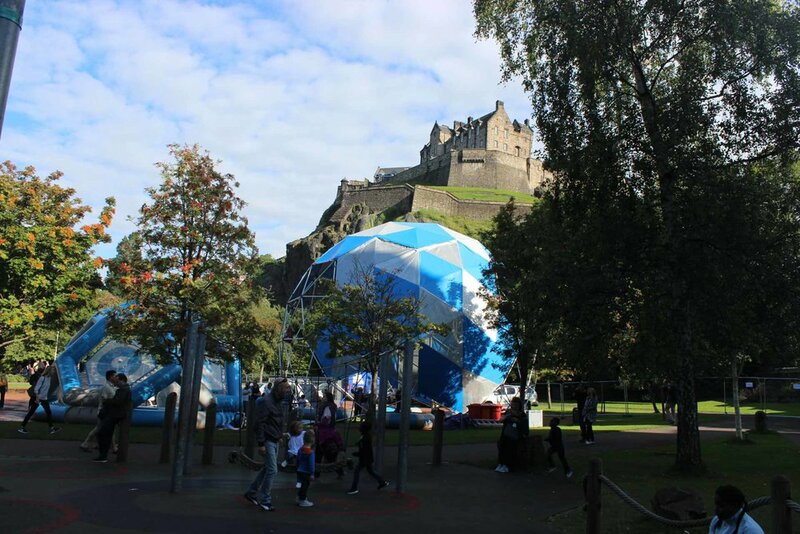 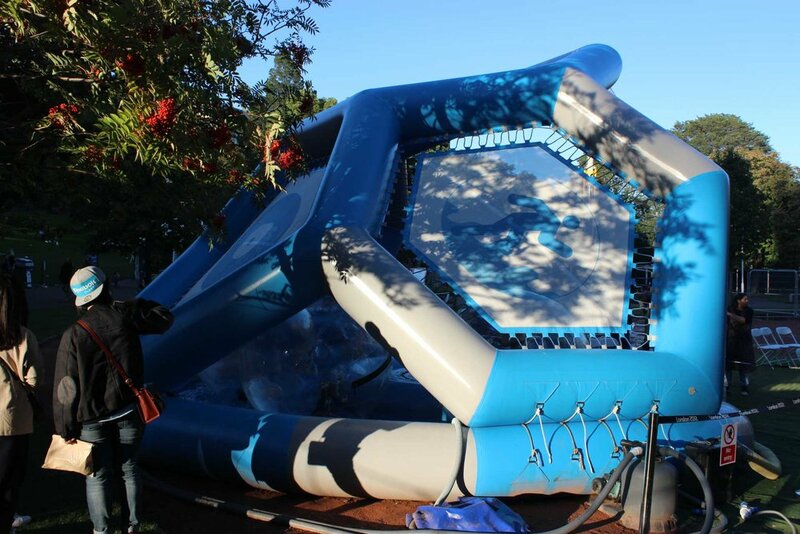 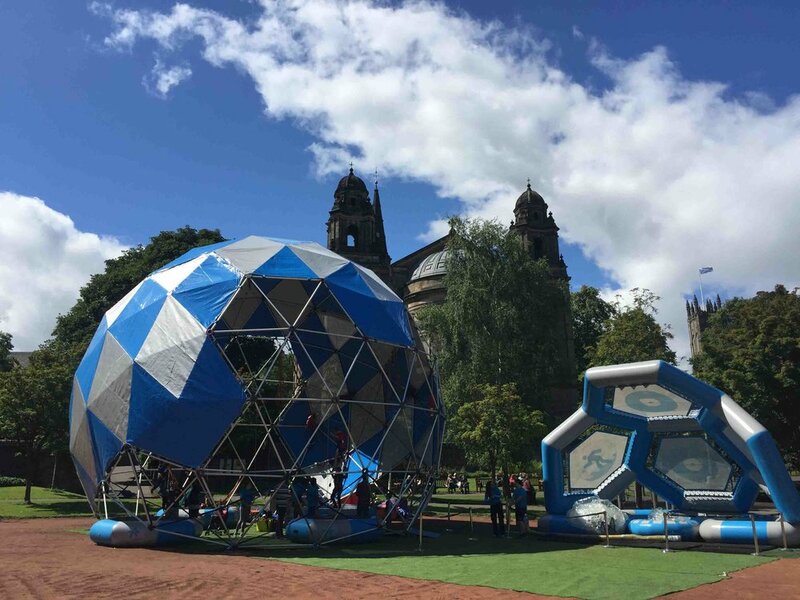 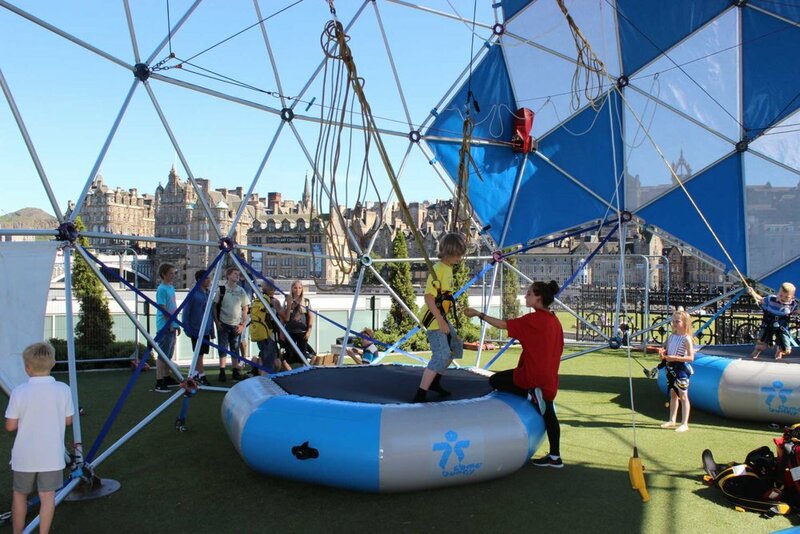 The bungydome experience is exhilarating and highly motivational, making the bungydome the epicentre of the bubbleparc, a nucleus of movement and happiness around which the other attractions are situated. 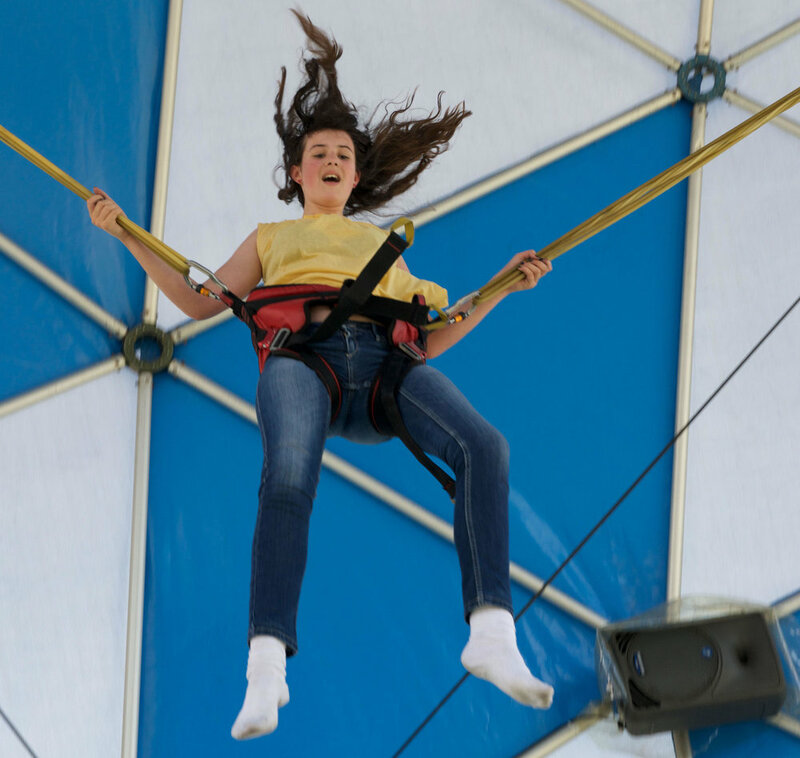 The 12m geodesic dome has four bungy trampoline jump stations that oscillate riders weightlessly up to seven meters while executing acrobatics. 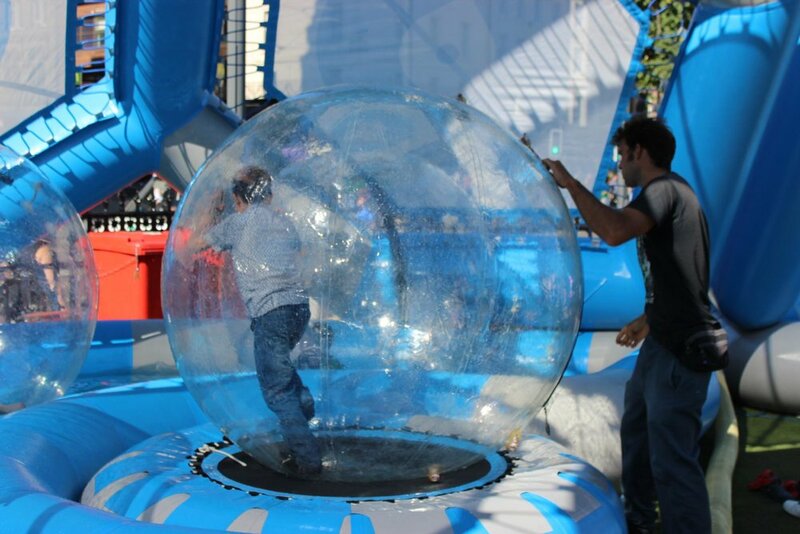 To float inside your own bubble is a dream for many children. 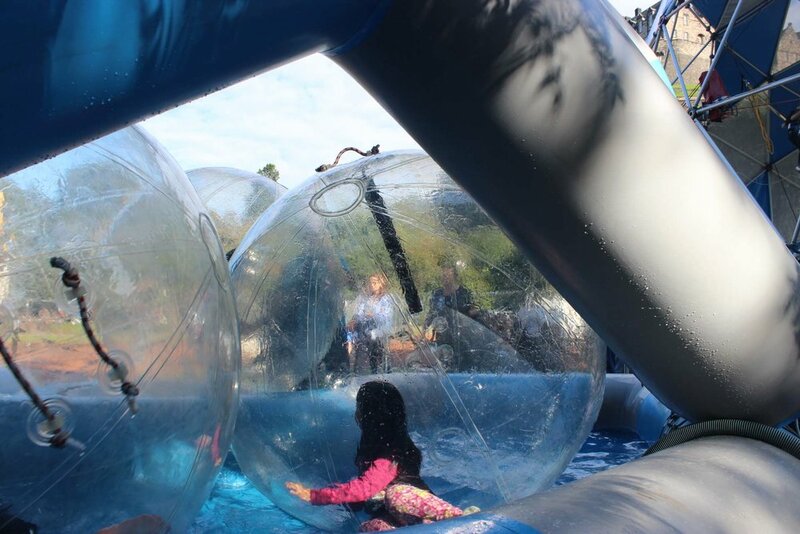 The bubblepod offers this experience by implementing a series of transparent spheres with hermetic zips that float in a pool of 40cm of water. 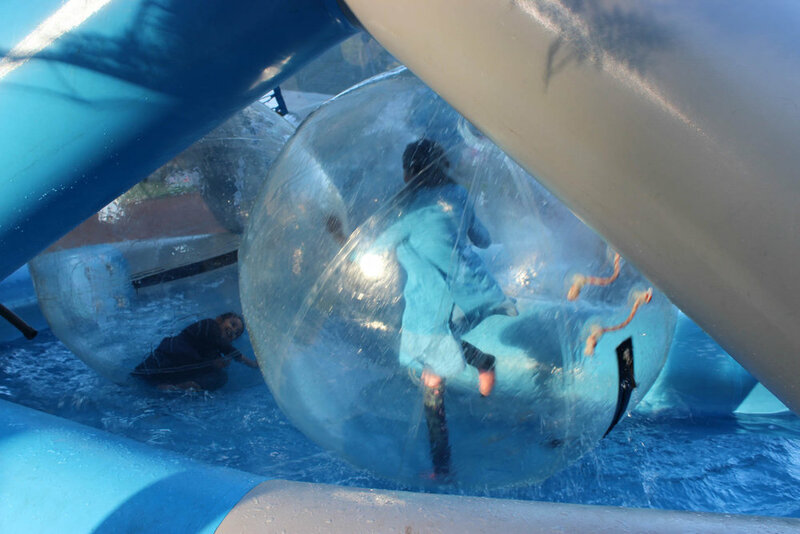 The riders are put into the bubbles and launched onto the surface of the water where they engage in the acrobatics of maintaining their balance, running on the spot, and falling in the endeavour. 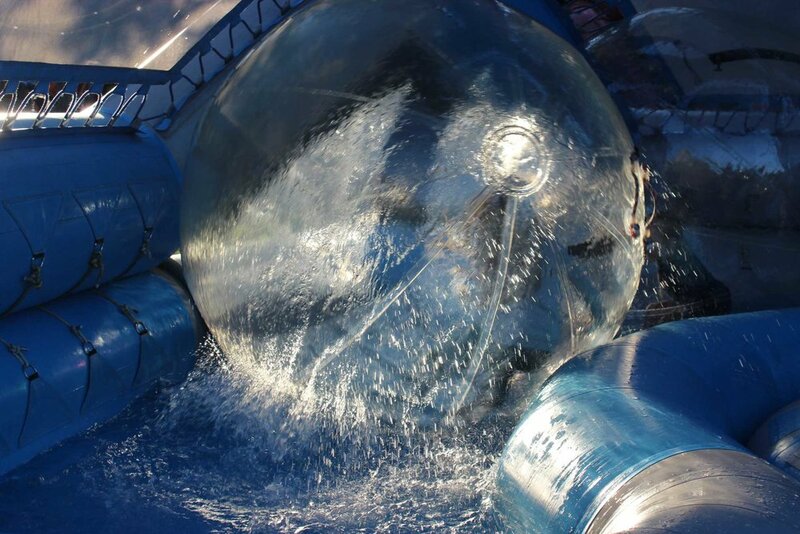 All of the falls are cushioned by the water acting on the bubbles skin, and the inflated bubble prevents collision with other riders. 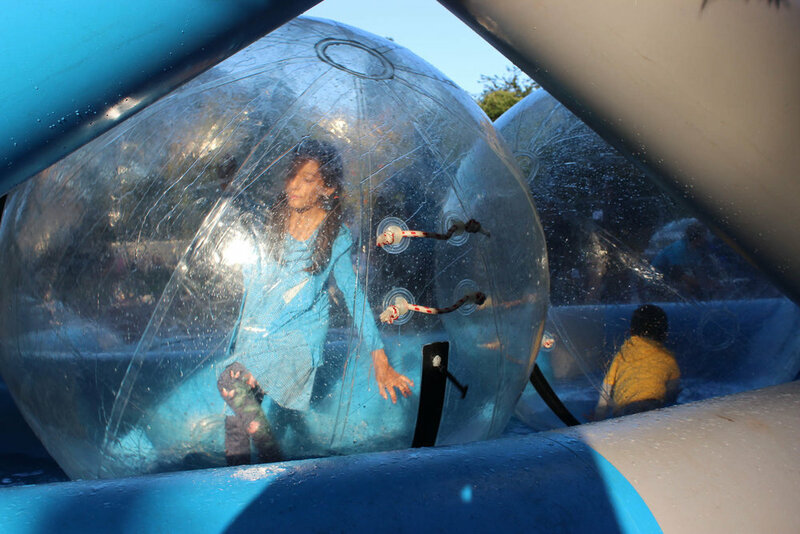 The children have 60 minutes of oxygen in the sphere and the ride time is always measured by an operator. 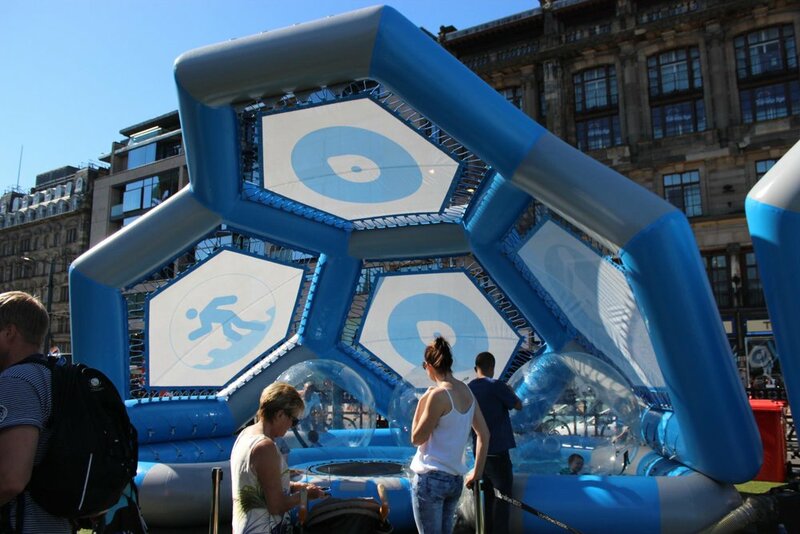 The bubblepod implements an assemblage of pneumatic hexagons that generate an environment that is as innovative as the activity that it contains. 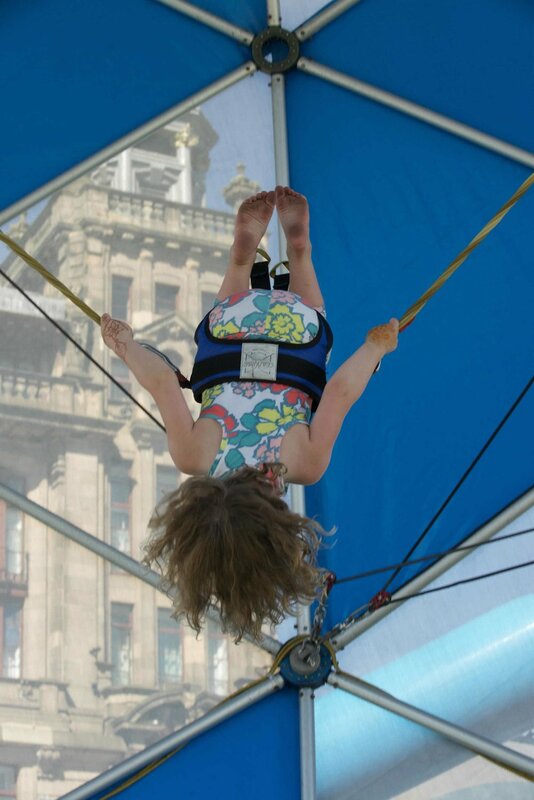 allow one child to ride one attraction. 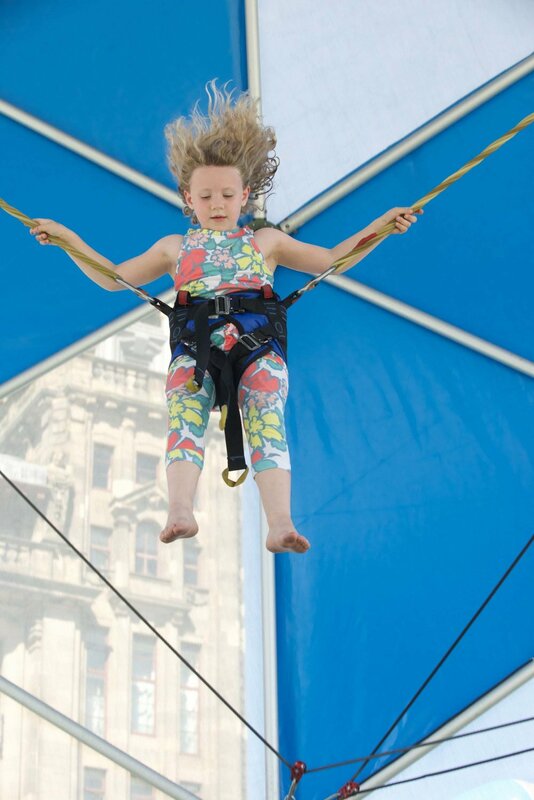 Share the joy with others and build your own sustainable business.